Thailand without a doubt, has some of the most beautiful beaches in the world. The country is one of the most popular places to visit in Southeast Asia, largely because the climate is great for holiday goers. 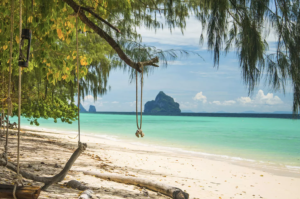 There are those commercial destinations, such Phuket and Koh Samui, but it’s remote islands are the perfect place to escape the crowds and enjoy the beauty of paradise. 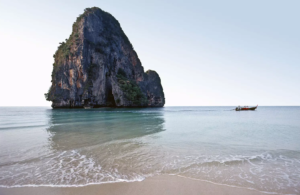 Krabi is one of Thailand’s most beautiful areas to visit. It is surrounded by limestone cliffs, and is only accessible by boat ride, yet once you get there, it almost feels like a private island ready to be explored. This is the ideal beach for sports such as rock climbing, snorkeling, kayaking, and more. Trang remains one of Thailand’s most undiscovered places, so if you are looking to escape the crowds, this is your best bet. 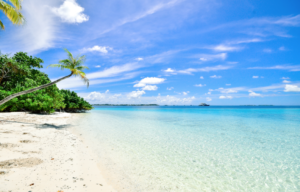 It’s got an amazing coastline and white sand beaches, as well as many uninhabited islands. 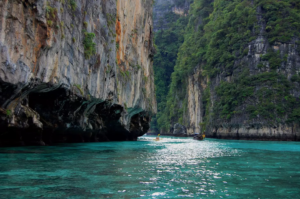 Koh Phi Phi is an island you have to tick off your bucket list, especially if you’re traveling alone. It has something for everyone, from water activities to great island parties. From here you can travel to Maya Bay, where Leonardo DiCaprio’s The Beach was filmed. The bay is surrounded by cliffs on three sides, and has impossibly colorful underwater marine life. Go for a day trip, it is so worth it.